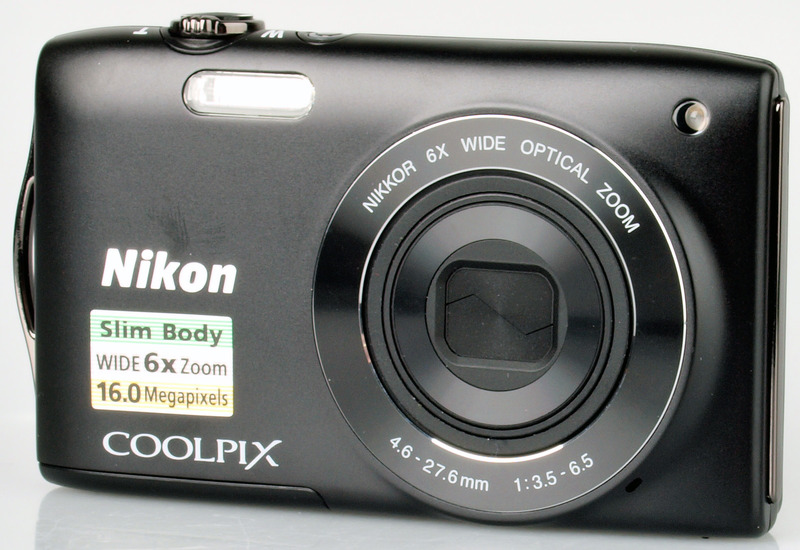 Daniel Bell reviews the Nikon Coolpix S3200, a 16 megapixel compact camera with 6x optical zoom. The Nikon Coolpix S3200 is a compact camera with a 16 megapixel sensor and 6x optical zoom. It is available in black, red and blue for around £70.00. Its slim body and low price make it an ideal camera for the casual user who likes to take pictures when out with friends and family. 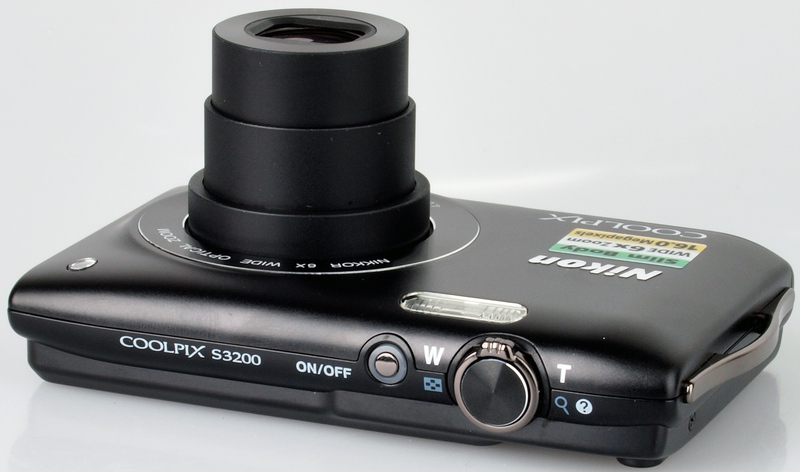 The S3200 has a 16 megapixel CCD sensor and 6x optical zoom lens, which is a 35mm equivalent of 26-156mm. To help take the sharpest possible pictures there is Electronic Vibration Reduction (e-VR). As well as auto mode there are 18 scene modes. There is a smart portrait mode which includes smile timer, blink proof, skin softening and red-eye fix. The S3200 has a 99 point autofocus system and subject tracking AF to keep your subject in focus even when it is moving about. When you have finished shooting you can edit your pictures in the retouch menu which has a range of filter effects, including selective colour, fisheye and miniature. Videos can be recorded in 720p HD. The S3200 has an extremely compact, metal body, easily small and light enough for you to carry in your pocket when out with friends. It doesn't offer much in the way of a grip, although there is a dotted area for your right thumb. Although small, the 2.7 inch is bright and clear to see in varying lighting conditions. 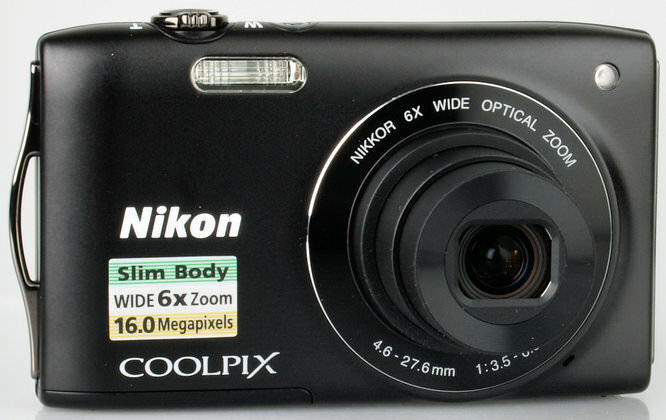 The buttons are typical for a compact camera, with a dedicated video record button featuring on the rear of the camera. One downside with the buttons is that the symbols and writing is engraved on rather than printed in another colour and therefore it's difficult to see in the dark. The menu system on the S3200 is easy to understand and navigate. The battery has a CIPA rating of 220 shots, we were able to take well in excess of this amount on one charge during testing. We tested the cameras performance at focusing, shutter response, shot-to-shot time, continuous shooting etc. and have posted the results below. To test this we took 6 or more shots and calculated the average, so that consistent results were produced. Continuous shooting mode records images at full 16 megapixel resolution. Sample Photos - Portraits have good skin-tones and are free of red-eye when using the flash. Landscape mode takes pictures with excellent blues and greens when shooting in clear conditions, there are also example images using pet and sport scene modes. Lens Performance - Images are well exposed with good colour reproduction, but detail is pretty poor, especially in the corners of the images. There is also quite a lot of purple fringing and chromatic aberration. The lens has a minimum focusing distance of 5cm, but macro shots aren't particularly good. ISO Noise Performance - Images are free of noise at ISO 80 and 100, with a small amount appearing at ISO 200. Again there is an increase at ISO 400, with images losing some sharpness, and again so at ISO 800. Noise causes the S3200 to take a very soft image at ISO 1600, with a substantial amount of detail lost in places. Noise again increases at ISO 3200, but file size is limited to 4 megapixels at this setting. White Balance Performance - Auto white-balance (AWB) copes really well, under the incandescent lights, very similar shots were produced, with a slight green cast when using the incandescent preset. Under the fluorescent lights, the AWB setting performed well, with a magenta cast appearing when using the fluorescent preset. Digital Filters - The S3200 has a few colour options to add creativity to your pictures. You can also edit images in playback, with D-Lighting, Glamour Retouch and Filter Effects available. Video - Below is a video shot at 720p. The optical zoom cannot be used during video recording. The Nikon Coolpix S3200 is available for around £70.00. Other similar cameras to consider are the Olympus VG-170 at £66.95, Fujifilm FinePix T400 at £68.67, Pentax Optio LS465 at £58.00 and Canon PowerShot A1300 at £59.00. There is also the Nikon Coolpix S3300 which is very similar to the S3200 but has optical image stabilisation, priced at £74.40. You might also like to look at our best budget cameras article. The S3200 is likely to appeal to the casual user who likes to take pictures when out with friends and upload them to Facebook. Pictures have decent colour reproduction but lack detail when viewed full size, so they aren't ideal for large prints. The S3200 is available at a decent price, but at this price range there are plenty of similar cameras, some of which do perform better. I have this camera never got the dreaded lens error its doing fine for the first 600 shots and what I paid for it. These cameras are small and it is a good idea to keep your hands away from the lens as it can get side loaded and cause a jam. 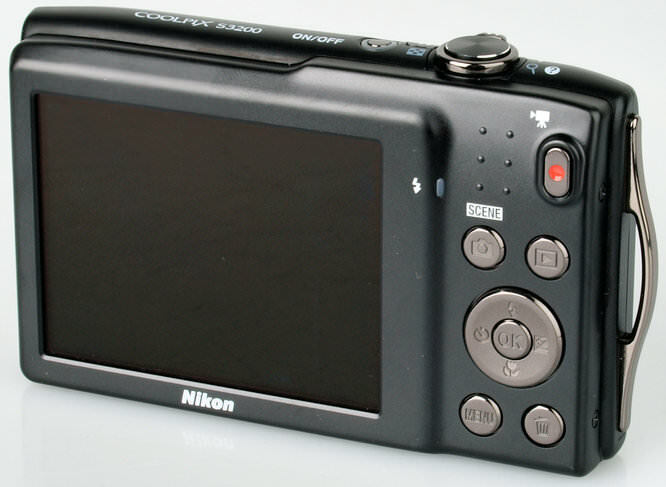 Also you can view photos on any recent coolpix by turning the camera off and push and hold the photo review button (arrow button) the camera will then allow you to review photos without the lens extended further protection of the lens. Another maybe obvious no no is to put the camera in a case pocket or purse with the lens extended. I think a safer camera for a novice would be an S30 or S31 Nikon it is water shock and dust resistant and the lens is self contained within the camera body still has a modest 3x zoom.